Are you a discouraged writer? When the bylines are flowing and the contracts keep coming, writers often complain about their deadlines. The rest of us cast sarcastic glances their way and wish we had deadlines to complain about. It’s enough to make you think about giving up. Writing Tip for Today: When discouraging times hit, how can writers soldier on? In any artist’s life, seasons exist. Unless you’re Stephen King or J.K. Rowling, your writing successes will likely be punctuated by some lulls. Yes, it’s discouraging when the rejections roll in or your last best hope of a publisher passes on your project. 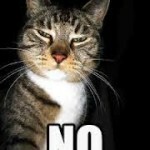 So what can you do when the noes outnumber the yeses? Find a cool article about discouragement HERE. First think about your writing in terms of the long view. You may encounter dry periods, but if you quit in discouragement, that’s all you get. If you’re going through the desert, keep writing! Don’t just talk about writing or lament your situation. Instead, keep your regular writing routine as closely as you can. Then, add some skill-building to your schedule: take a writing class, attend a conference or get some writing resource books and study them. 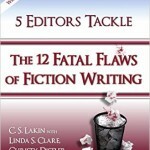 I recommend Five Editors Tackle Twelve Fatal Flaws of Fiction Writing, but there are many others. While your acceptances are in the doldrums, use the opportunity to diversify your writing. Novel writers, in particular, seem to get stuck on working only on that long-term project. Instead of devoting all your writing energy toward the work-in-progress, carve out a few minutes to explore shorter forms. Haul out your market guide and look for writing opportunities for short articles, Chicken Soup-type stories or even helpful hints. Dust off your query-writing skills for magazine articles and submit. These types of writings have much shorter turn around times and can help bolster your confidence even when the book publishers aren’t saying yes. If you take these suggestions and still feel discouraged, why not change up your routine? Besides writing short pieces, you might recruit other writers who are also going through a dry spell. Get together and write in a group. Agree to meet at a restaurant or library and commit to an hour or two’s worth of writing. If you don’t have a regular critique group, writing en masse can help you form one. With this idea, during the writing period, members don’t talk to each other. Only after writing, during feedback, does the group interact. If you can’t stand noise, wear noise-cancelling headphones or earplugs during the session. For most serious writers, the rewards come in waves, followed by periods of drought. 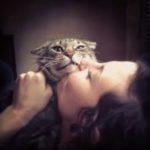 If you are at a low, instead of allowing yourself to sink into bitterness or self-pity, give yourself twenty-four hours to feel as miserable as you wish. But when time’s up, it’s back in the saddle. Because if you quit, well, that’s pretty much all you get.